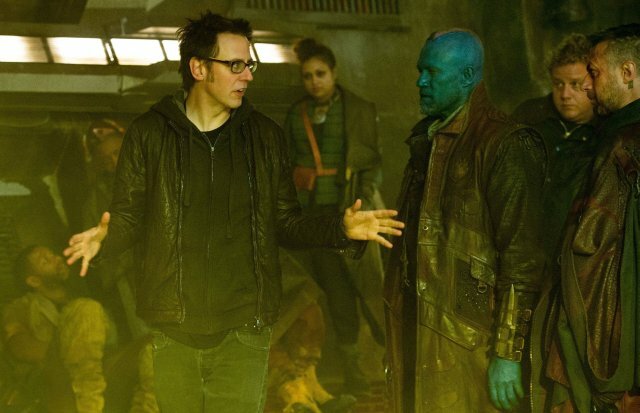 Will James Gunn Return for Guardians of the Galaxy 3? Production continues on Guardians of the Galaxy Vol. 2 in Atlanta, Georgia, and during some downtime on the set today, director James Gunn held a live Q&A with fans on his Facebook page. Topics ranged from the contents of his trailer, to why there wasn’t actually a trailer for the film, to whether Howard the Duck would return (prompting a non-verbal shrug from Gunn) and if Michael Rooker could take Kurt Russell in a fight. More interesting, however, was the prospect brought up by Gunn about what he might do after Guardians of the Galaxy Vol. 2, revealing Marvel has already spoken with him about continuing with them afterward. Gunn also went on to reveal that production on the film, despite having only started twenty days ago, is set to conclude this June. Marvel’s Phase Three is currently locked down through 2019, though three release dates in 2020 (May 1, July 10, and November 6) remain a mystery. Could one of them be Guardians of the Galaxy 3 or does Marvel have a different property in mind for Gunn? Sound off with your thougths below! Guardians of the Galaxy Vol. 2 is produced by Marvel Studios’ president, Kevin Feige, with Louis D’Esposito, Victoria Alonso, Jonathan Schwartz, Nik Korda and Stan Lee serving as executive producers. Set to star Chris Pratt as Peter Quill/Star-Lord; Zoe Saldana as Gamora; Dave Bautista as Drax; Vin Diesel as the voice of Groot; Bradley Cooper as the voice of Rocket; Michael Rooker as Yondu; Karen Gillan as Nebula; and Sean Gunn as Kraglin, along with ew cast members Pom Klementieff who plays Mantis, Elizabeth Debicki, Chris Sullivan and Kurt Russell, Guardians of the Galaxy Vol. 2 will be released on May 5, 2017.